Proven through over fifty years of success to be the most effective low cost, low maintenance passive static eliminator available, Anti-Static Tinsel is one of the most widely used methods of static control. TAKK Tinsel is made of ultra conductive 100% copper strands, and eliminates static through the “self-energizing” or induction principle. The tinsel is placed across, above and in close proximity (1/8" to 1/4") to the moving static laden equipment or affected product. The sharp points of the copper tinsel strands interact with the static field on the targeted surface, creating an ion flow of both positive and negative ions from the strand tips. This forms a static neutralizing cloud that envelops the targeted area, eliminating both positive and negative static electric charges from the targeted product or machine surface. Static tinsel works at its best at higher static charges and actually functions more efficiently at these higher levels. 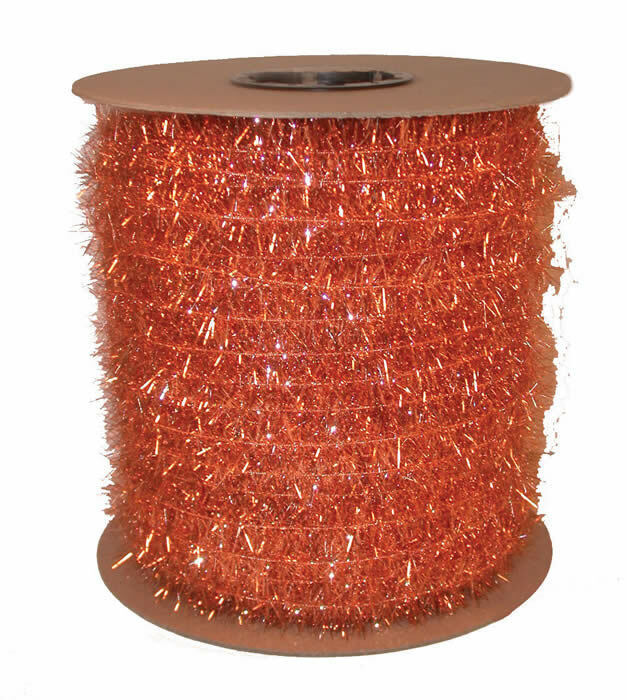 The tinsel core is made of multiple copper wires to ensure positive grounding and strength. The fine, sharply pointed copper strands provide greater elimination of negative and positive static, and do not spark or cause sparks. Tinsel strands are interspersed to maximize effectiveness, but not so dense as to make it easy to collect dust and dirt. Resists breakage, matting and shedding. Available in boxes or reels. 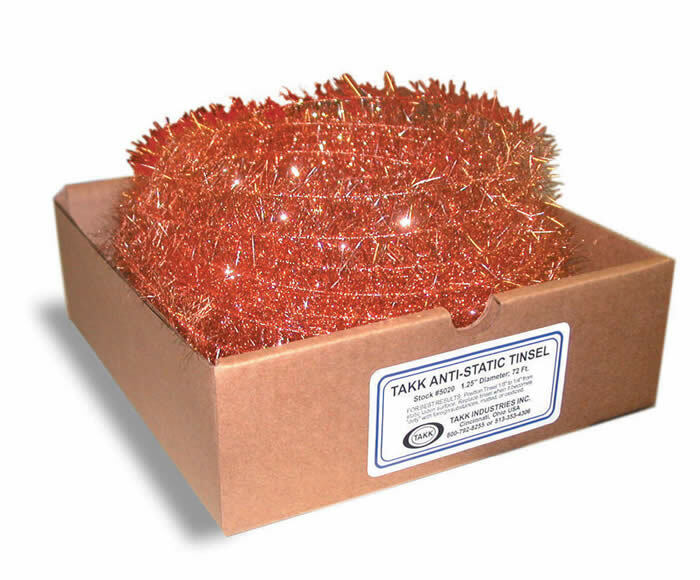 For more information on Anti-Static Tinsel visit www.statictinsel.com. Order now and save 15% on boxes or reels of static tinsel -— call 800-792-8255. Call 800-792-8255 to order or email us at sales@takk.com. Please use code PPC02 for sale price. Offer ends April 30, 2019.